Looking for a sweet treat to shake up your summer? Check out this low FODMAP mint berry frozen yogurt. Made with fresh ingredients, this FODMAP friendly dessert has a surprisingly bold flavour. Depending on your personal taste, you can make this recipe with either strawberries or raspberries. I have a huge sweet tooth, so I always go with fresh strawberries. I find it gives the frozen yogurt a sweet and clean taste. My husband, on the other hand, constantly lobbies for raspberries. They give the frozen yogurt an unexpected, but deliciously tart flavour. It’s a little strong for my taste buds; but, I’ve had the most compliments about the raspberry version of this recipe. 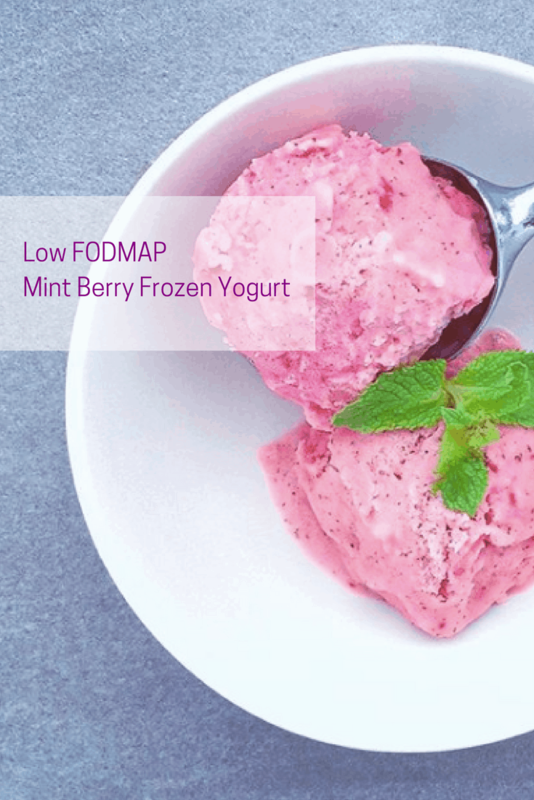 Think this low FODMAP mint berry frozen yogurt sounds great, but you don’t have time to try it now? You can PIN THIS POST for later. This low FODMAP mint berry frozen yogurt will rock your socks. 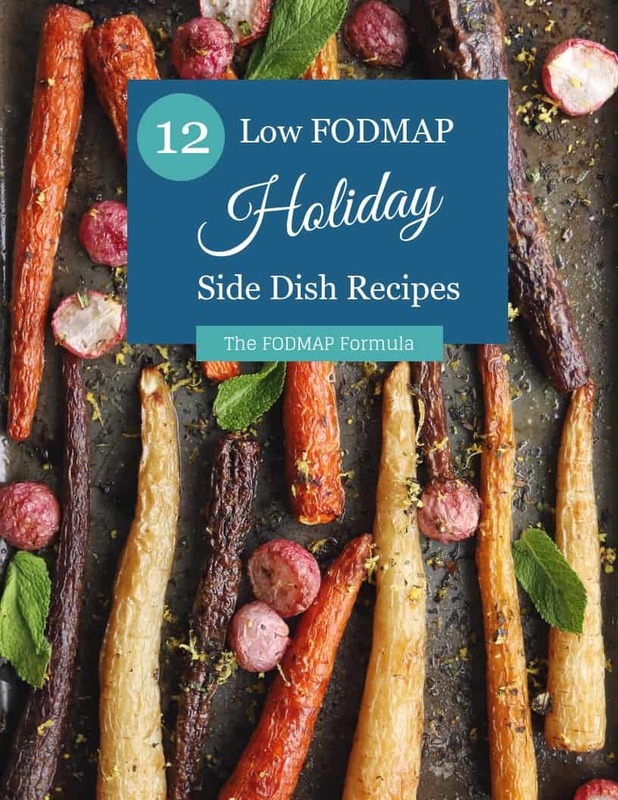 Check out the notes below for tips on keeping this summer treat FODMAP friendly. First, make sure you choose a berry you can have in servings of 1/2 a cup. I recommend strawberries or raspberries, both of which are safe up to a full cup per serving. Next, if you’re in the elimination phase, you need to use lactose-free milk and yogurt. Yogurt can be tricky for FODMAPers, so make sure you double-check the ingredients. 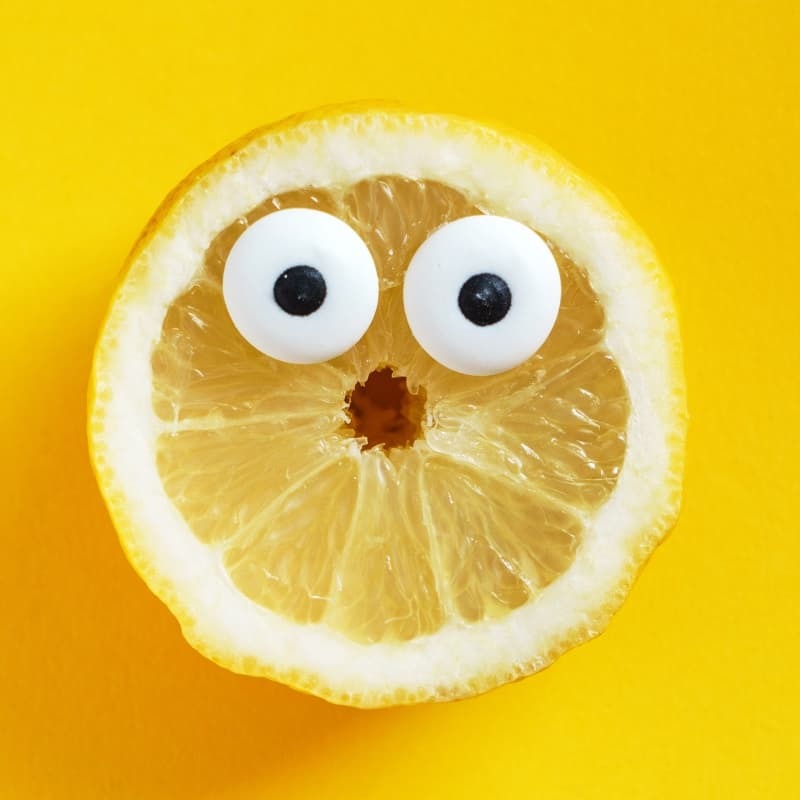 Many lactose-free yogurts have ingredients like wheat, inulin, sweeteners like fructose, high fructose corn syrup (HFCS), or artificial sweeteners like xylitol or sorbitol, so keep your eyes open. For my Canadian peeps, PC Skyr Greek yogurt and Liberté’s lactose-free line are both low FODMAP. Finally, we’re going to use a homemade cane sugar syrup to sweeten things up. You can grab my recipe here. 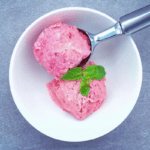 Want to try this low FODMAP mint berry frozen yogurt? Don’t forget to PIN THIS RECIPE for later. Looking for something to freshen up your summer? Try this low FODMAP mint berry frozen yogurt. With only 5 ingredients, this simple recipe will keep you refreshed all year long. Place 1 cup of berries, a 3/4 cup of yogurt, the milk, mint, and cane sugar syrup in a blender and blend until smooth. Pour mixture into a freezer safe container and set aside. Put remaining berries and yogurt into the blender and blend until smooth. Pour berry mixture into yogurt mixture and stir together. Freeze until the frozen yogurt has reached the desired consistency (between 2-3 hours). This low FODMAP mint berry frozen yogurt is the perfect sweet treat to liven up your summer. If you like this recipe, subscribe to my mailing list below. You’ll get new recipes and articles delivered right to your inbox.